Note that Overdrive requires a second login (after your initial login to the library). You can search for books in the library catalog and the site will direct you to the Overdrive website to check-out the books. Let us know if you need help getting started! 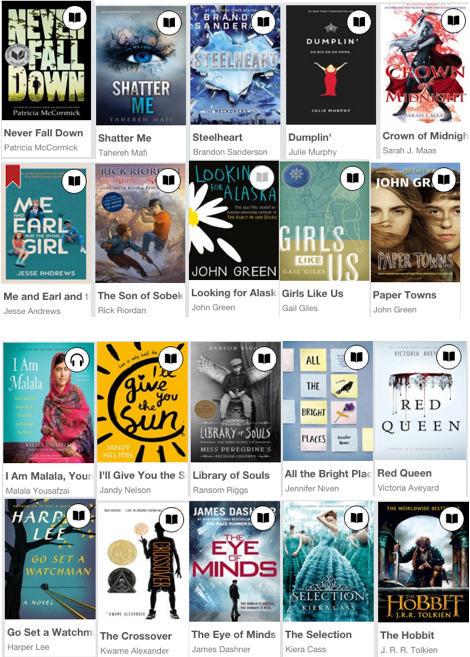 New Young Adult Lit on Overdrive! It’s great to see so many students taking advantage of our Overdrive eBook collection- perfect for travelling over the holidays! 49 Faculty & Staff on Overdrive! 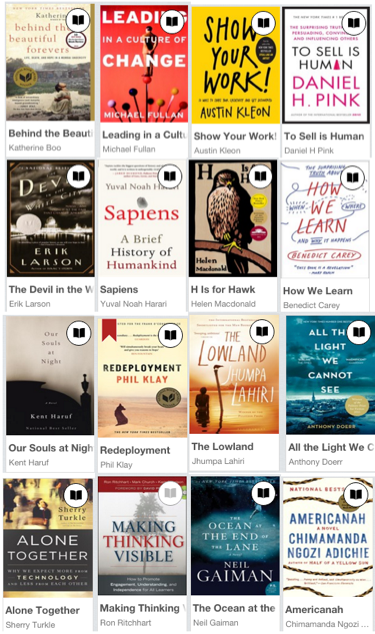 It’s great to see so many faculty and staff taking advantage of our Overdrive eBook collection- perfect for travelling over the holidays! If you have titles that you would like to recommend, send them along to the library!